how did YOU learn your "bag of tricks" ?? 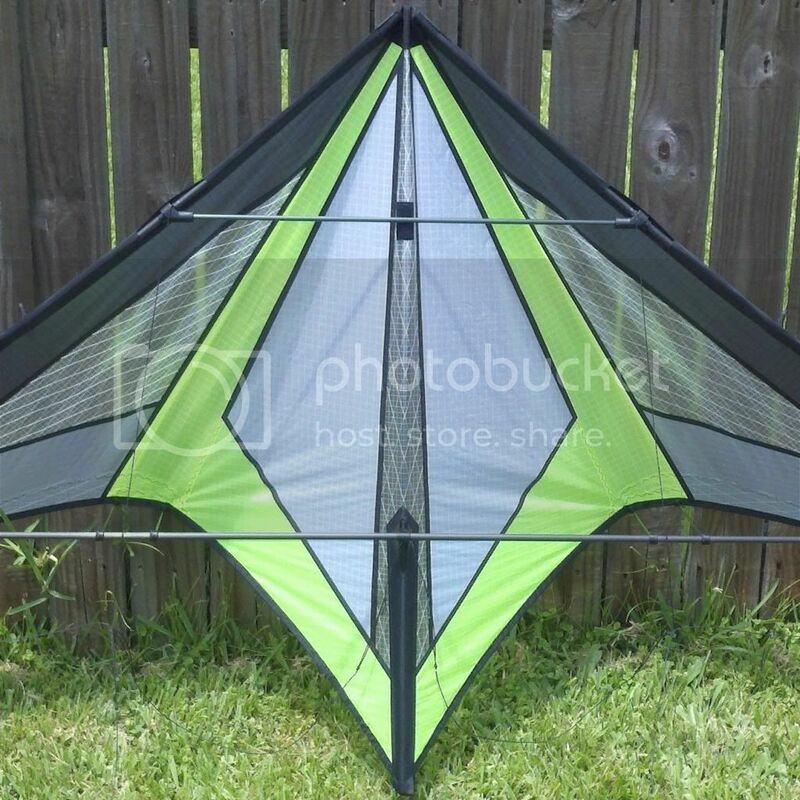 GWTW Forum > Kites! Kites! Kites! > Sport Kites > how did YOU learn your "bag of tricks" ?? are you self taught ? did you learn mostly from flying with friends or others? The internet ? books ? all of the above ? how long have you been flying ? "I'm growing older, but not up"
Re: how did YOU learn your "bag of tricks" ?? For the most part self taught or video based review. I have been flying since the mid 90s but only as casual hobby until just recently in early 2013 where now I am overly addicted to building and trick flying and can't seem to stop anytime soon. I think I am averaging 12-15 hours a week now flying. Seems more like a part time job rather than a hobby as before!!! I try to fly with another person - I fly with my oldest son who can provide another interpretation of a video based trick tutorial and provides moral support when frustration sets in. I try to fly with the intention of refining existing tricks and introducing a new trick minimally - Every time I focused on one trick only my day flying was not fun at times, especially when winds were terrible. I used to practice ground based tricks when winds were lowsy but there were times that if I focused on one trick that required good steady winds my day would be ruined immediately and then ultimately ending any potential practice on what I already knew and making those moves cleaner. I carry a tablet loaded with reference videos from the internet - This allows me to reference the trick I am trying to learn or just simply refresh the old brain as to what heck I was trying to do when i decided to go flying that day. By no means does any of this information guarentee any success nor is it any bible to kite flying but just my own personal input to maybe help you out. May you find steady winds! PS Here is my current bag of tricks where 4 months ago I knew none at all. Sixth Sense STD Pro has made many of these tricks possible for me also. Once you get a trick, its seems easy after that, you wonder what took you so long! I like to mix in what I know with what I'm learning. I think this is good because you don't get bored from failing at the new trick and you also learn to combine the new trick with what you can already do which I think helps to learn it. Also, the 'reflection time' allows you to vary your attempt in order to improve it. Also, you never stop learning to make it smoother and cleaner. Total control and grace before, after, and during the trick makes it seem like magic. Most of the kites I enjoy flying have a fairly limited "bag of tricks" so over 15 years I've ended up with a bag of tricks very much like my favorite kites. I've learned by watching videos, generally only for the technique. When to do what and how much. Watching someone (and their kite) in real life teaches you a whole lot more about what makes a trick look good and how combinations fit together and how what a particular flyer does is very different from what you might do. There's more than one way to skin a cat and there is more than one way to do any given trick. Understanding those differences can teach you a lot. Watching someone (and their kite), if they are good, helps a lot with understanding what looks right and what looks sloppy. Clean, precise, execution, speed control, improvisation, intentionality are the intangibles you don't get from a lot of videos. Of course this is a mostly solitary activity (even on a field full of flyers, it's just you and your kite) so how you enjoy what you do is most important. If you really get a kick out of a certain move, even though it's not "correct", then enjoy it. Building up a personal style is based on a lot of "I want to do it THIS way"
Developing a satisfying style is important for long term engagement with sport kiting. A style or personality in your flying may be obvious to others at some point, but is an internal thing first and foremost. Do what you want to do and make it your own. So, because I like to fly specific types of kites in a specific way, my bag of tricks is rather limited. One thing about having few tools, you get pretty good with them. I've owned a wide range of modern kites and at one time or another I've practiced a number of modern tricks but i tend to get bored with current kites. They don't fit with the way I like to fly, with my style. Everything that I've learned to do on a kite I've taught myself in the trick category. Jon T helped me (ok, made me) fly precision when I was little and I was so small back then I didn't quite get the concept of discipline, or I probably wouldn't of flown a square until I came back to kiting after a few year break. The best thing I can tell you is outside of absorbing whatever you can, just dont give up on anything. Thats really all I can say. Eyes on the prize. PrizeS? thanks for all the input here so far fellas as stated in another thread, I work in Daytona Beach at a hobby shop, we sell Prism and HQ kites, so I come into contact with a lot of enthusiasts, which is what really got me going in this venture, I'm literally minutes from the beach, so Ive been going over quite often after work and work on my own tricks, Ive only been flying a short time and after watching videos on youtube realize I have ALOT to learn, but I LOVE a challenge and that's what drives me I currently own 3 Prism kites, which I feel may not be the best when tricking comes to mind so I'm looking to acquire another kite soon, many recommendations were given in yet another thread,, I'm very much looking forward to that venture thanks again for the input and so happy to have found this community of enthusiasts !! Wow your about 30 minutes away from me if your in Deltona. We should meet up sometime and fly at the beach. I'm usually local to my park in Winter Gardens or down in Cocoa. John from Kitestop has a Central Florida Kite Club you may be interested in. I will also have to stop on in at your shop and check out what you have in stock. Nice to meet you by the way. What are those videos and where can they be found?